One of my favorite things to experiment with and try is by far skincare products! I recently tested out Shills Beauty. Shills beauty is an Asian based company that provides high quality products for a reasonable price point. They have over 40 different products that I can’t wait to try. The two I recently have been introducing to my skin care regime is the mandelic acid skin renewing essence and the skin hydrating repair essence. Each morning before I start my day I cleanse my face and apply a few drops of the mandelic acid skin renewing essence to my face. After, I moisturize my face and then apply a few drops of the skin hydrating repair essence. 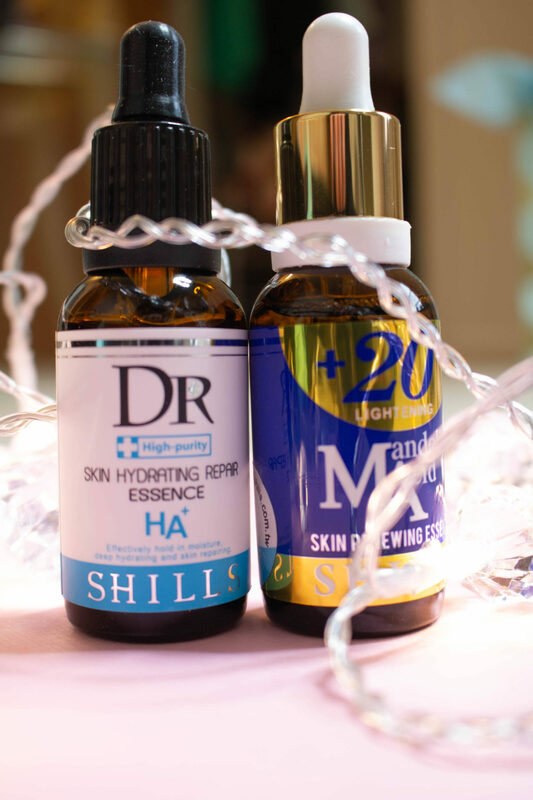 Both of these top Shills products have multiple different benefits that have now forever changed my skin care game. Mandelic acid skin renewing essence: This godly serum removes blackheads, unclogs pores and removes blemishes and acne. All around it helps to achieve flawless, even and brighter skin. My favorite thing about this is how hydrating it feels on the skin and that it’s oil free. I have lash extensions so the non oil thing is a bonus! Skin hydrating repair essence: I immediately lean toward anything with the word “hydrating” in it. I have extremely dry skin, ESPECIALLY in the winter months, and with how cold it’s been in Michigan lately. This serum does a great job of naturally hydrating the skin and is super smooth and comfortable when applied to the face and neck. It allows the skin to tighten and create a natural dewy essence, which I’m obsessed with! After I used this serum and applied my makeup a little bit later my makeup went on sooooo smooth beautiful. Love this product and would highly recommend. As for my first time trying this brand and using their products I have had an all around great experience with them. No bad breakouts or anything and I have noticed a slight change in my skin for the better after only using the serums for about a week. Watch my winter morning routine and skincare routine here. Next Post Valentine’s Day Gift Guide For Her UNDER $100.